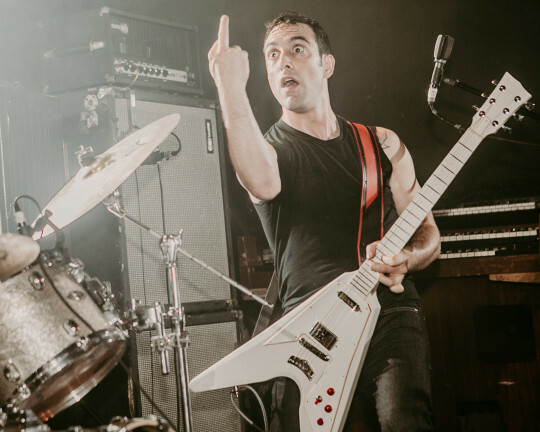 Mutoid Man Live at Saint Vitus Photo Gallery // KERRANG! Last night was one to remember at Brooklyn’s iconic heavy metal club, Saint Vitus Bar, as Kerrang! curated and sponsored its first ever show in the United States. 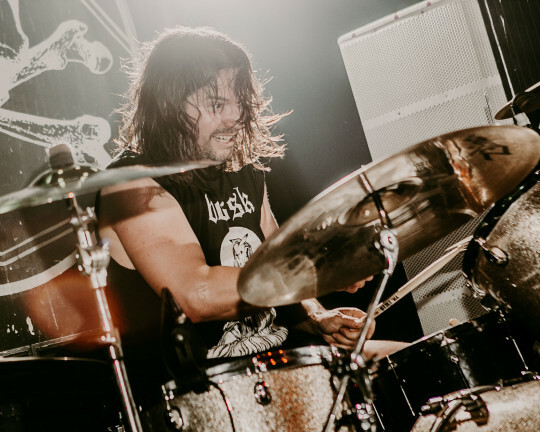 Headlined by New York’s Mutoid Man (featuring Stephen Brodsky of Cave In and Ben Koller of Converge), with support from Ruby the Hatchet of Philadelphia, and The Well of Austin, Texas, the evening was filled with fuzzed-out heavy riffs and whiplash-inducing head-banging. 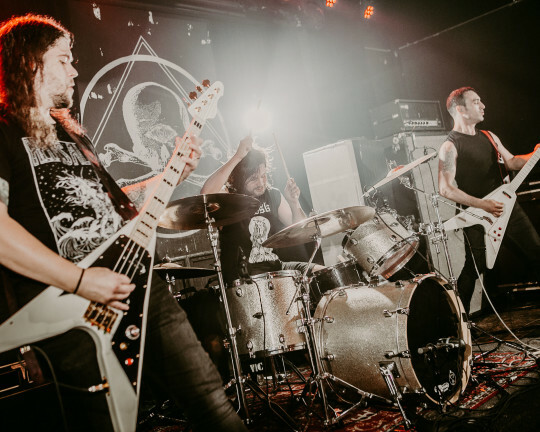 The beer-fueled night kicked off with a performance from The Well, whose evil brand of psychedelic stoner rock immediately got the crowd nodding solemnly in unison. By the time Ruby took the stage, the room was already packed; lead singer Jillian Taylor captivated the crowd with her witchy ways, while the band played a dynamic set that made a huge impression on the awestruck crowd. 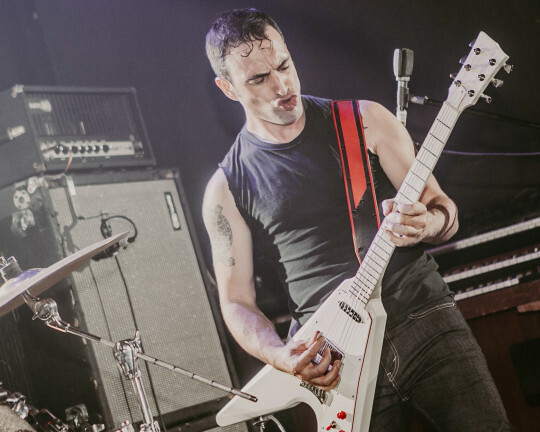 Of course, the Mutoid boys brought things home like only they can, first playing through War Moans in its entirety to celebrate the album’s first birthday — and then blasting through older songs and covers (like Little Richard’s Keep A Knockin’) with power, precision, and humor. Fortunately, we had star photographer Angela Owens on hand to document every glorious moment. 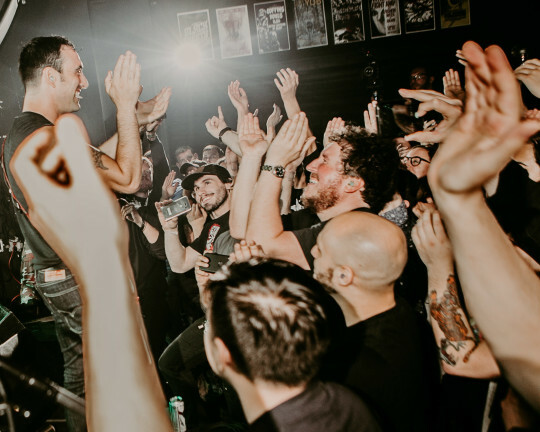 Check out the gallery below, and be sure to stay tuned to Kerrang!’s social channels in the coming weeks, when we’ll be streaming each and every set from the show, uncut!